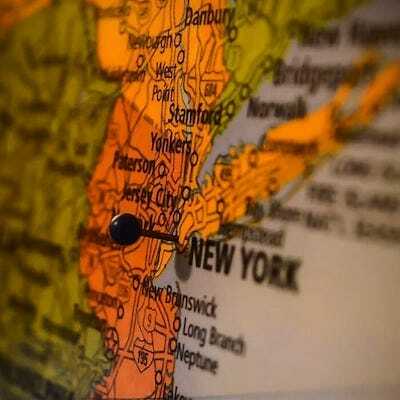 How to find your biggest market opportunity? it’s about finding those people who need your product or service most and will be the first to buy your product or service and through them, finding the shortest road to success. Let’s start with understanding why it’s so important to find your biggest market opportunity before anything else. In business, we are looking to find the shortest, safest, and fastest track to reach your customers and gain success. One of my favorite and most appreciated research companies is CBInsight, who have a unique and priceless ongoing research project called Post Mortem. Post Mortem is a quarterly research project based on interviewing entrepreneurs about the reasons behind their company’s failure. Really? How do they know? Among the 120 startup and entrepreneurial companies we deeply searched the market for over the last 10 years, only 5 companies found there wasn’t a market need for their product or service at that time. For 115 companies from totally different fields, there was a clear and significant market need. The interesting and important part is that for most of the 120 companies, the customers’ needs were not what the company thought they would be. And actually, that makes sense, because usually, entrepreneurs offer a new, unfamiliar product. So, it’s clearly not a problem of no market need, but an issue of not finding the right market, or failing to explain to the customers why they need your new product. That means you need to understand your customers’ cares, needs and wants regarding the product or service you sell. But more than that, entrepreneurs have an uphill battle ahead of them because most of the time, they invented something new or slightly different from existing solutions that most people don’t know about. The thing that will allow you to find your biggest market opportunity is to find who is doing what with the one dollar and one minute you want them to put on your product. Thanks to the way search engines and social networks collect and track information today; there is a fast and reliable method to study today’s ever-changing markets. In order to have the ability to look at an existing market from a bird’s eye, and objective view, and get good insights of the future market, we will use several different points of views from diversified resources. As an entrepreneur, your company and product are built on you (not like traditional companies). That’s why the smart first step should be to learn exactly what is unique and the greatest advantage about you and your product. The interviewer: The preferred option is a third party like a friend with some involvement with your entrepreneurship. What is the precise definition of your product/startup? What is the one factor that will affect your success most? What is the one factor that might cause your failure most? What will you do and where would you start if you want to bring right now as many customers as possible to use/buy your product? Next is the second research stage. The idea here is simple. The market analysis (or market mapping) by Gaia Model is based on the fact that today, the entire discussion, as well as all relevant information, is on the Internet. We can learn almost everything about our potential target audience because of the way Google tracks and ranks the information. The challenge is to find editing and to make sure we get a balanced and reliable picture of the market. Mainly Google, as well as social networks, professional sites, competitors, and market leader sites. 1. On the first step, you should prepare a list of the most relevant markets and fields that are related to your target audiences. Main customers (target audience) like - book writers, startups, journalists, etc. Market definitions – look atprofessional sites, Wikipedia, and even dictionaries, to find the exact definitions of the market terms. 4. Search for each expression in Google, in professionals and competition sites, and social networks. You can also look on sites like Quora, answers.com, or Yahoo answers to see what questions people are asking. 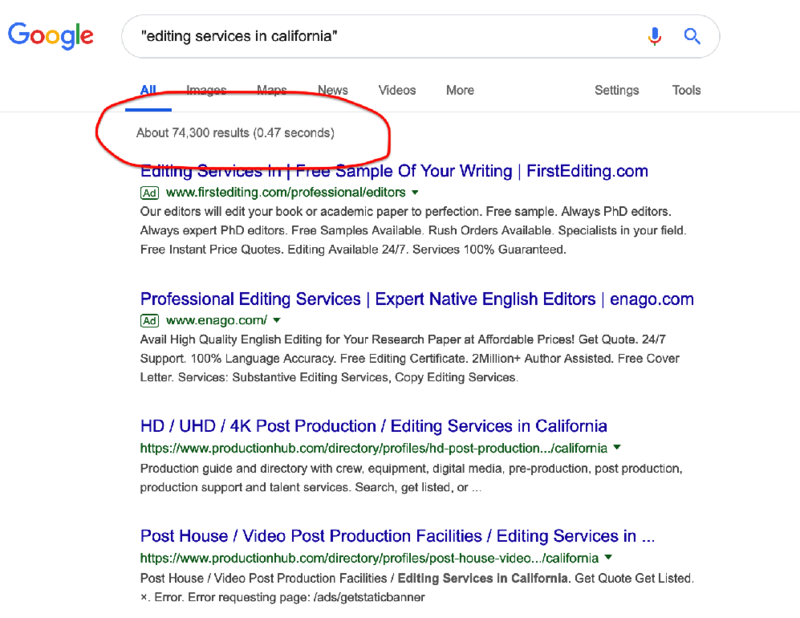 When you search for each expression in Google, put it between “apostrophes” and see how many results are there. That will tell you exactly which terms are most relevant in your industry. Then, look at the main answers. Who leads the market, what are people looking for? Use the same exact expressions in Facebook, LinkedIn, Twitter, Instagram, etc. See which groups, companies, people, pictures come out. That will tell you a lot about this market. The Purpose is to get market validation about the findings from the two previous steps. To understand, see, and feel things through the customers’ eyes; what are their needs, concerns, and thoughts on the problem your product addresses? Potential customers, partners, or opinion leaders like bloggers. Asking in-depth open (not guided) questions, more general questions first, and then more specific (but still open) questions about their answers. Focus on past real situations. Based on your findings and thoughts from the two earlier research steps, come out with 3-5 different personas that you want to talk with to better understand your potential customers. You can look for people in open groups or those who ask questions in your field of business; these are some of your potential customers. Use your friends, social media contacts, and groups or colleagues to find people from different places (countries, states, cities) and characters (job positions, age, gender, family situation) and have a 10-15 minute phone/Skype (and the like) open conversation. Open conversation means you ask them open questions (see below). Not yes or no questions, but more expressive questions. - How they (by themselves) describe their need/use/thoughts on the issue/problem your product addresses? - What are their concerns/what bothers them? - What did they do about it in the past? Why? Where? Etc. The first questions you should ask need to be open and general; then ask more specific questions based on their answers. It’s time to collect the findings in order to find your biggest market opportunity. Gather the main answers and findings (those that look most important to you) to a simple three-part presentation - according to the 3 research steps. Do it by yourself or invite your fellow founders and anyone else who is involved and can contribute to this discussion. Note: You can do it by yourself, but it’s always better to think together with 2-3 different people. Present the main findings step by step by the 3 steps of your research. Discuss (or write down if you do it by yourself) whatever looks relevant/not relevant. We came to the final part of this module: the part where you come to conclusions and define your biggest market opportunities. If you chose to discuss it with some partners, now it’s the time for a second meeting or a second session for yourself (if you do it by your own) for gathering conclusions. Write down and prepare 4-6 points of where you see a real market potential and/or need for your new product or business. (If you are doing it with partners, ask them in advance to go over the finding presentation and write their ideas). You can, and should, also mark directions the company doesn’t want to explore and shouldn’t address. We are looking to mark the potential customers who are most likely to be the first (or 2nd, 3rd, etc. depends on the status of each company) to choose, use, and pay for your product. To summarize, write down the most relevant points that show your biggest market opportunities. Congrats! This is a very important part of your future success; Everything you do from now on will be based on a much professional and much stronger base than a hunch. The combined research enabled Visualead to focus on their biggest opportunity, even though it was totally different, and a much smaller opportunity than they thought would be. Visualead was the first email I received from a company that realized that what they needed to succeed was to find their market biggest opportunity. It seems like Visualead did everything right from the beginning. They created a strong professional founders’ team of 3 founders. They recruited their first funds from two of the best, and definitely most successful, investors in Israel and they looked to build their business the right way. Coming from computer vision, they decided to focus on a new visual solution for the QR code, which seemed to be the next big thing in the tech world. They called the company Eyeconit and dreamt of becoming the next Instagram. We started building their market strategy with combined research, the exact technique I’m going to share with you in the coming slides. The research showed that QR code was not going to be the next big thing and it definitely wouldn’t enable the company to become the next Instagram. The research showed that QR code already was and probably would remain strong in Asia, and was used mainly in the design and advertising studios globally for a while but the numbers showed rather small uses: most people just didn’t start to scan the QR codes. It was a shock and a disappointment. There was some potential to QR code, but it was going to be a much smaller opportunity than they thought would be. 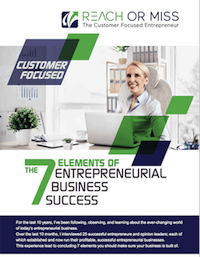 To learn more about your marketing for entrepreneurial business success, get my free guide for the 7 elements of Entrepreneurial Business Success.